Here on Photodoto, we know for sure what the biggest dream of every photographer is – it’s a professional, stunning portfolio website! Let your dreams come true! We’re pleased to announce a MotoCMS giveaway where all of you have a chance to win one of three premium website templates from our partners MotoCMS, spiced up with their powerful admin panel. We set up a partnership with MotoCMS specifically to give our readers the best solution for creating a professional photography website. MotoCMS photography website templates are available here. So don’t waste your time! Read the rules, leave a quick comment, tweet the post and enter the contest! 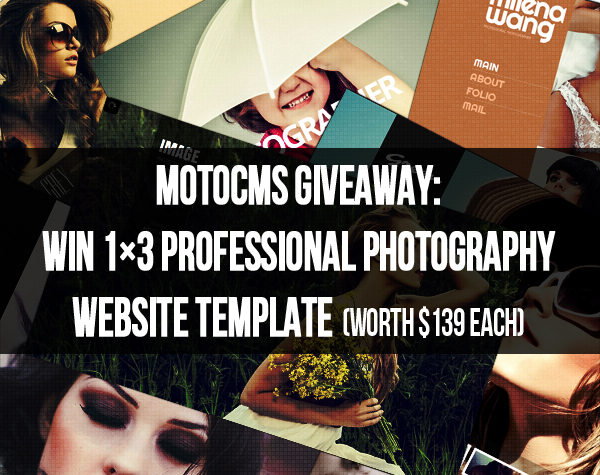 Why Are Website Templates From MotoCMS a Perfect Option for Photographers? A website template is ready-to-use design and a perfect “playground” to implement your ideas. All you need to do is just change the logo, name and photographs in a website template, and your portfolio is done. 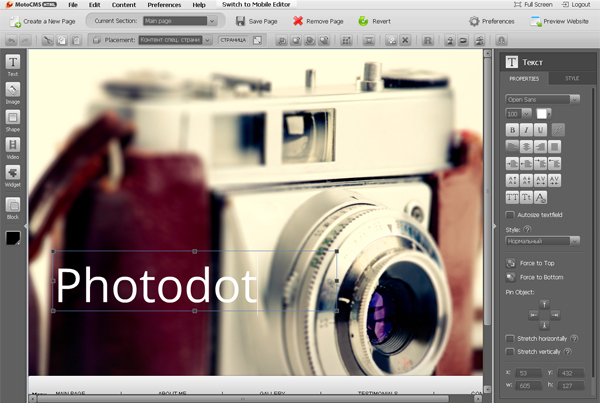 Creating a photography website with the MotoCMS admin panel is as easy as never before. An intuitive, drag-and-drop admin panel will help you with it. Basic computer knowledge is more than enough to launch your own website within hours! Browse our gallery of perfect photography website templates! Moreover, there is a huge number of stunning templates, so you can grab one to catch your fancy. 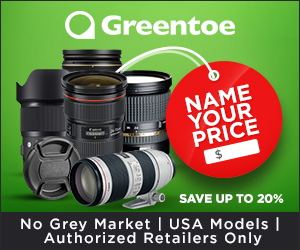 Three winners will each get a professional photography website template with a 100% discount – it’s totally free. That also means that these winners will be allowed to get any website template they like from our gallery. *Remember, one entry per person! Duplication of the comments will be voided and deleted. And that’s pretty much it – you are in! Now you’re a registered participant of this giveaway. Our editorial team will choose winners based on comments. 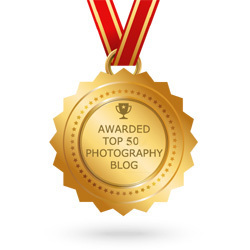 Exactly in a week from now (September 18, 2013), when you get back to Photodoto, we will publish the names of three lucky winners (who knows, maybe you’ll be one of them). 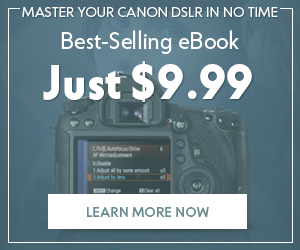 While you’re waiting for the results, you can try out a free trial version of the photography website template, upload your content and play around with the website to see the thing in action. 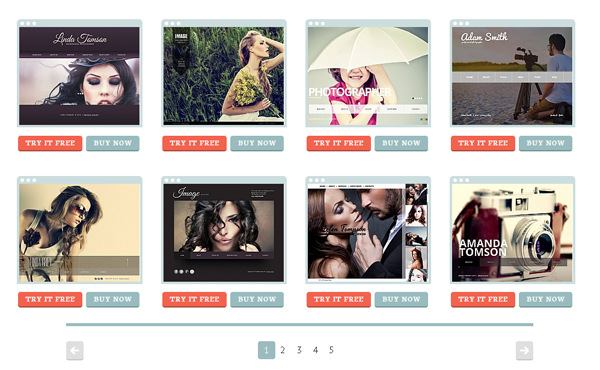 Just click on the button below, choose the template you like most and try it for free! 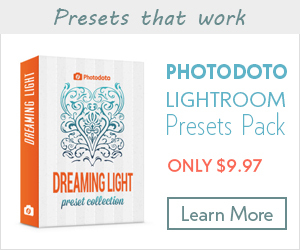 Since, obviously, not everyone can win a template, we’re happy to give a 25% discount code to all Photodoto readers! In case you love your website template from MotoCMS during your free trial period (we are sure you will), you’ll be able to purchase it and save 25% from the original price. The promo-code is valid until the 30th of September. So, till the end of this month, you can buy a photography website template at 25% off. 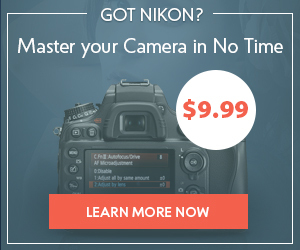 Hopefully, this awesome giveaway will inspire your new photography and web design achievements! Good luck! P.S. If you’re not interested in contest participation or you don’t want to wait, you can test and buy the template right now. Just click on the button below.